I made pin-ups of all the new electronics devices so I could experiment with different locations for everything. Getting all the pin-ups to the correct size took a little effort, but was well worth while. FAR2117 radar control panel. This is the larger panel with all the dedicated controls for easier operation. 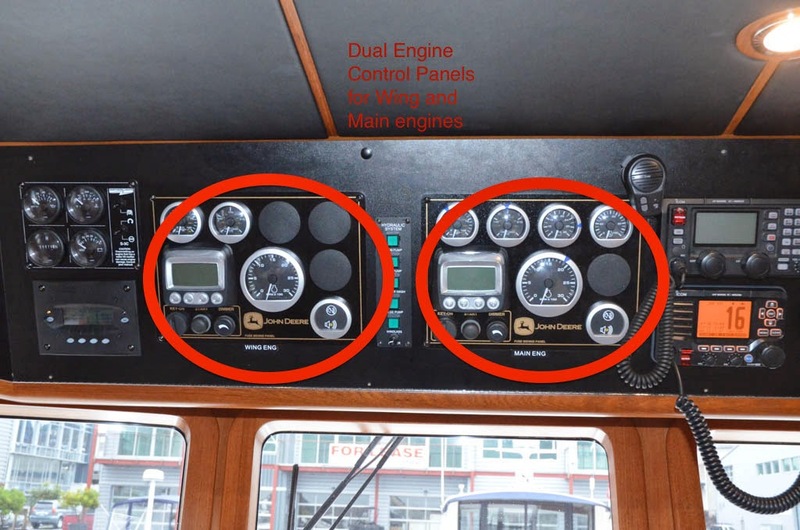 Dual autopilot controls. They come in a large and small form factor, and by using the smaller ones I'm able to fit both. 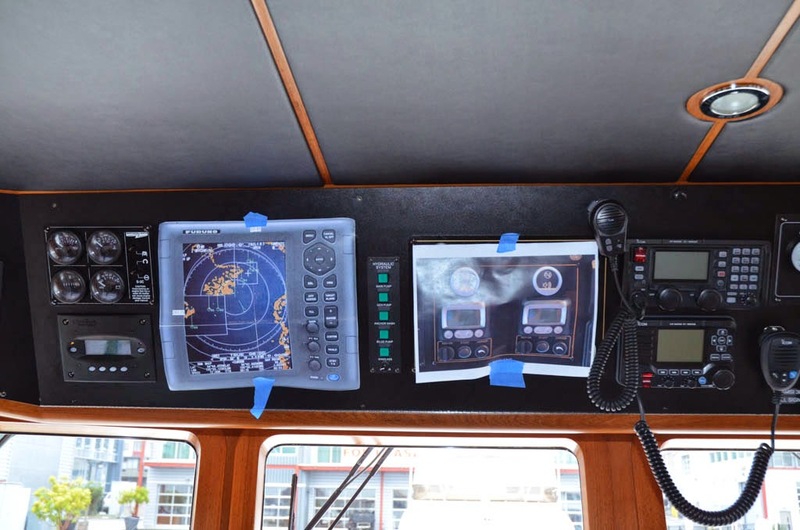 Up next to the monitor is the control panel for the windlass. It needs to be relocated from where the AP and fish finder controls will go. 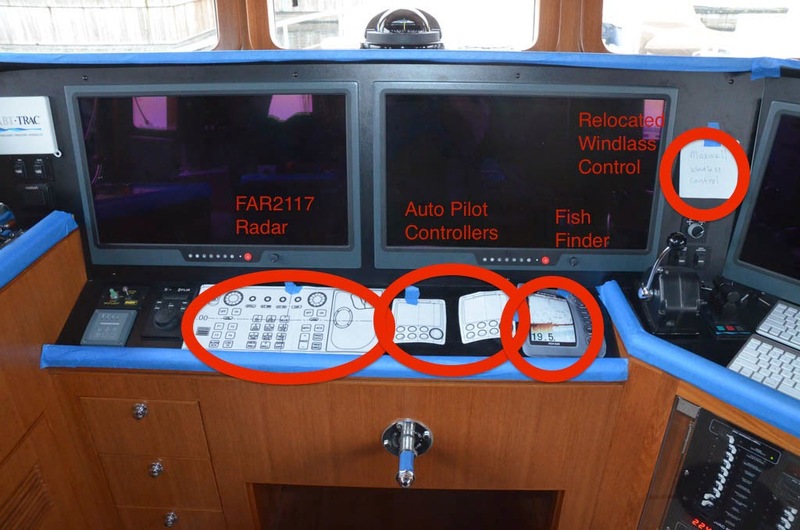 I'd much rather have the AP, fish finder, and radar in easy reach from the helm chair, so the windlass control moves further away. Now all I need is room for the second radar, and that brings us to the overhead. In the next picture you can see the existing setup with the two large control panels for the wing and main engines. 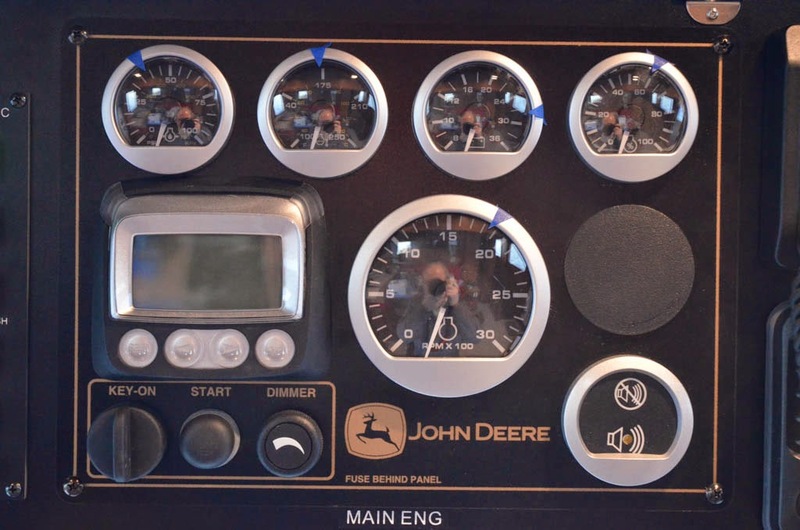 Each has start/stop controls, a dimmer, PowerView multi function display, alarm, tach and a handful of dedicated gauges for various functions. My primary display for all this data is my Maretron monitoring screen, so these panels are just for backup. And anything displayed on the dedicated gauges can also be displayed on the PowerView device. So, to recapture a big chunk of space and create a perfect spot for the 1835 radar, I decided to combine both engines into a single, simplified panel. Below is one of the original panels, followed by a Photoshop mockup of the new combined panel. 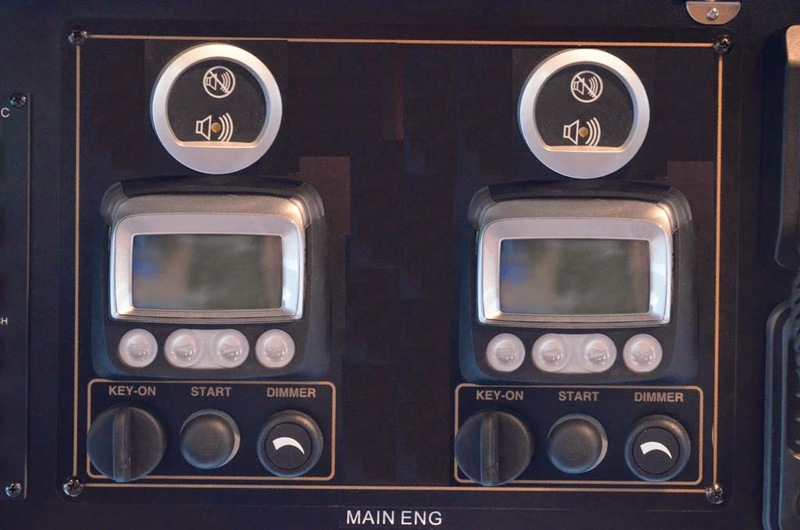 For each engine there are start/stop controls, a dimmer, a PowerView display, and an alarm sounder. The power view can show 4 gauge values at once, so I can still see 4 out of the 5 pieces of data from the original main engine panel, and all of the data from the wing engine panel. So very little is given up in exchange for all the recovered space. With all this new-found space, I have a perfect location for the 1835 Radar. Installation work resumes in about a week and we will see how all this pans out in reality. Thank you for the pictures; great to see how the new bridge will come together. I'm guessing no news is good news, but I'm curious how the SSB (Icom IC-M802?) is working out for you: I understand Nordhavns and non metal-hulled boats in general can be at a disadvantage where reception is concerned? Do you use it with SailMail when off-shore? In the case of the SSB, no news is no news. I'm embarrassed to say that I have yet to turn it on. It really illustrates how much I have been sidetracked and consumed by these fundamental electronics issues. Almost nothing else on my list has gotten done. One of the things I'm looking forward to the most is being able to work on other things.